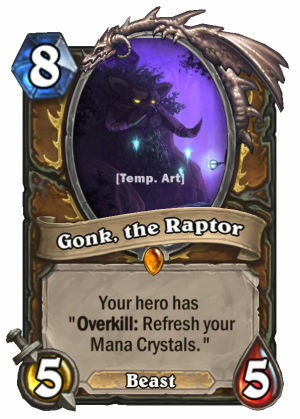 In the customary IGN interview near the end of a Hearthstone expansion, the two developers talked about designing key cards from Rastakhan's Rumble and showcased some pre-release versions of said cards. It's interesting to see the difference between the final set that the public gets and the many different versions of cards that the developers playtest internally. For example, Spirits used to be called Shrines and instead of Stealth, they couldn't attack or be attacked. Some Spirits/Shrines were very different in their initial versions. Here is an example of experimentation with the Warlock Spirit/Shrine and Hir'eek, the Bat. 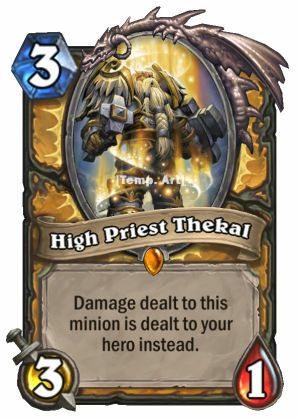 Some Loa used to be quite different, as well. 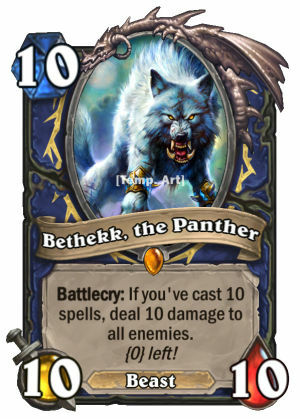 The Shamans were initially represented by Bethekk, the Panther and not Krag'wa. However, there were already enough feline Loa (Shirvallah for Paladins and Halazzi for Hunters). 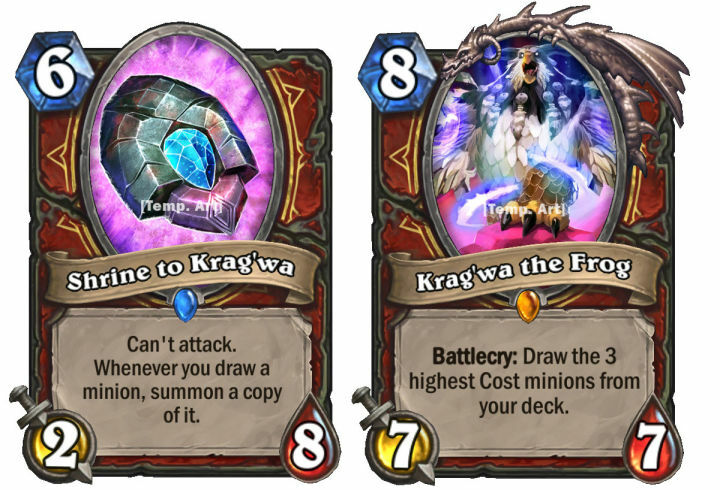 Krag'wa, the Frog himself and the Spirit of the Frog also went through some iterations. The crazy card right below was the original version of Void Contract. 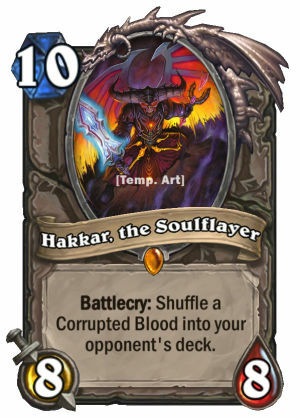 Lastly, Hakkar, the Soulflayer had various designs. The devs tried many different things with the Corrupted Blood mechanic, like destroying all enemy minions or stealing them. 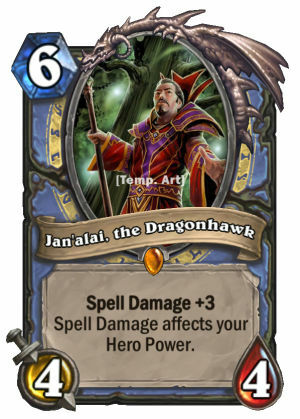 There was even a version of Hakkar that destroyed the opponent's Hero Power! What does that card have to do with Void Contract? Original Jan'alai, both versions look way cooler than what we have right now. According to the interview, that card was supposed to be shipped in the set - under the name "Void Contract" or another name - but it was cut at the final design stage. 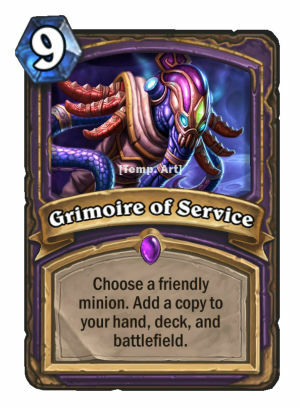 So they were trying to think of a Warlock spell to go in its place and they came up with the Void Contract we got.